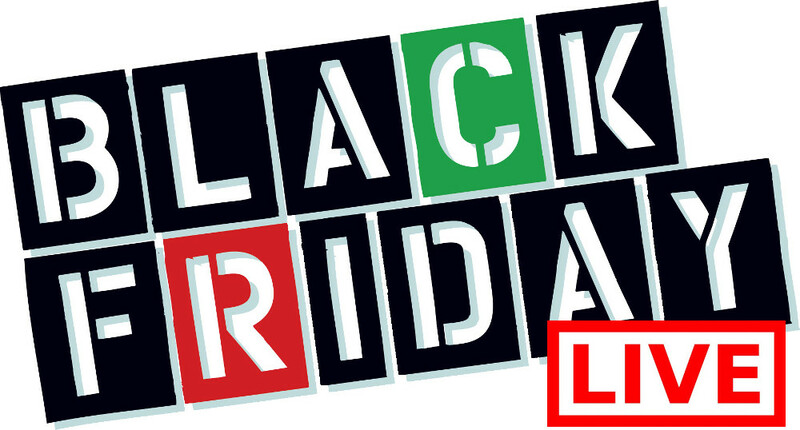 Swiss Chalet Canada has a Black Friday Deal available now for delivery with promo code! Enjoy a Delivery Meal for Two for Just $19.99, using the promo code EMAIL264 at checkout online. The meal includes: 2 Quarter Chicken Dinners with your choice of side and two pops. As always, each quarter chicken dinner will come with dark meat chicken, which can be changed for white meat for extra $1.80. This Swiss Chalet deal is valid until December 31, 2017. 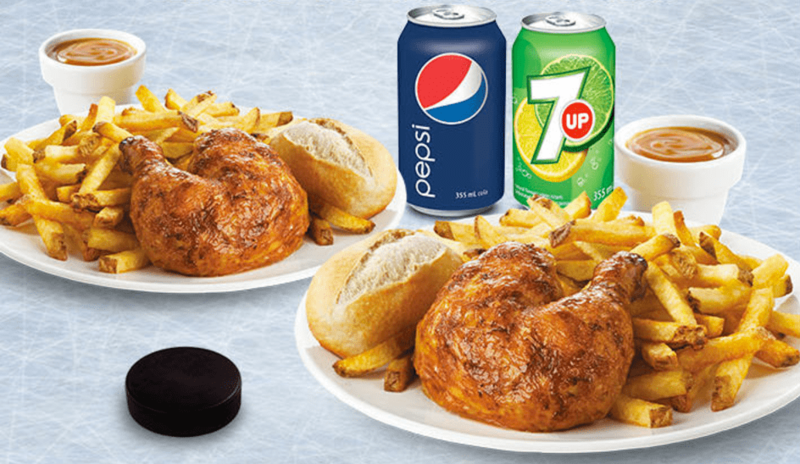 Click here to order online from Swiss Chalet Canada. Hot!!! Swiss Chalet are jumping on the Black Friday and Cyber Monday bandwagon too it seems! 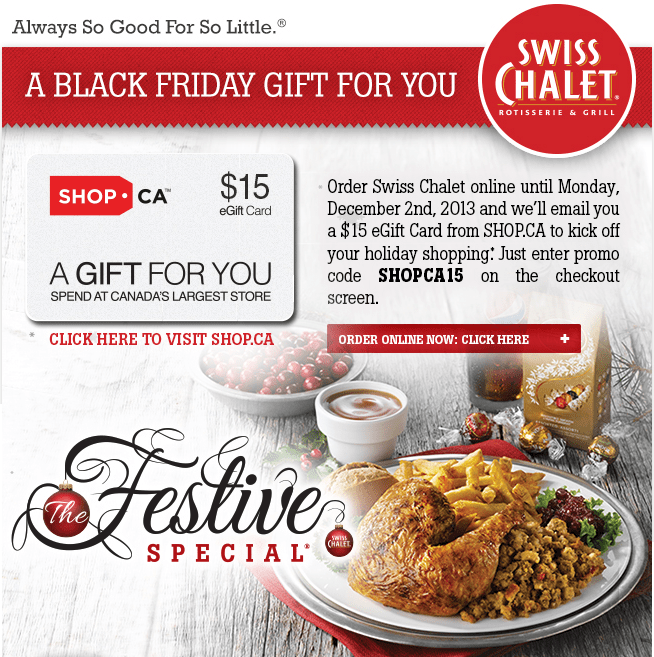 Order swiss Chalet online from today until Monday, December 2nd, 2013 and they’ll email you a $15 eGift Card from SHOP.CA. Enter Swiss Chalet Coupon Promo Code SHOPCA15 on the checkout screen.